Rama III. lässt an Wänden des Wat Pho (วัดโพธิ์) die โคลงโลกนิติ (Klong Lokaniti) einmeißeln. ตามแต่บาปบุญแล้ ก่อเกื้อ รักษา All sentient beings pass away. Good, evil deeds forever till times does end. "Der Siamesisch-Kambodschanische Krieg 1831-1834 war die letzte größere militärische Auseinandersetzung zwischen Siam und Kambodscha. Bereits seit Beginn des 17. Jahrhunderts war Vietnam in die Angelegenheiten der Khmer verwickelt, die sich aus der Umklammerung der Siamesen von Ayutthaya zu lösen versuchten und dabei die Hilfe der Vietnamesen erbaten. Bis zum Ende des 18. 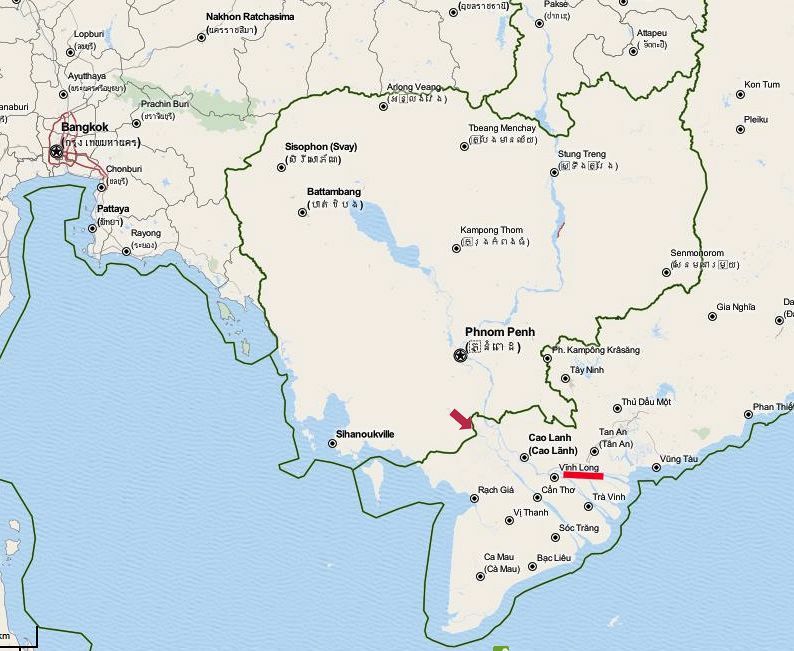 Jahrhunderts wurde aus dem Gegensatz zwischen Siam und Vietnam ein offener Machtkampf um die Vorherrschaft in Kambodscha. Vor der Rebellion 1811/12 hatte dessen König Ang Chan II. (reg. 1791 bis 1835) Tribut an beide Nachbarn entrichtet, wie es der Tradition entsprach. Dies half ihm jedoch nicht, als sich sein Bruder um Hilfe an Siam wandte und König Rama II. (reg. 1809 bis 1824) diesem zur Thronbesteigung verhalf. Ang Chan konnte zwar wenig später mit Hilfe der Vietnamesen den Thron zurückgewinnen, doch nur um den Preis des Vasallenstatus gegenüber Vietnam. 1831 entschloss sich König Rama III. (reg. 1824 bis 1851), Kambodscha wieder unter siamesische Oberhoheit zu bringen und befahl die Invasion. Er entsandte Truppen, die von Norden und Süden her marschierten. In der Schlacht von Kompong Chang wurde Ang Chan 1832 geschlagen und musste sich erneut nach Vietnam zurückziehen. 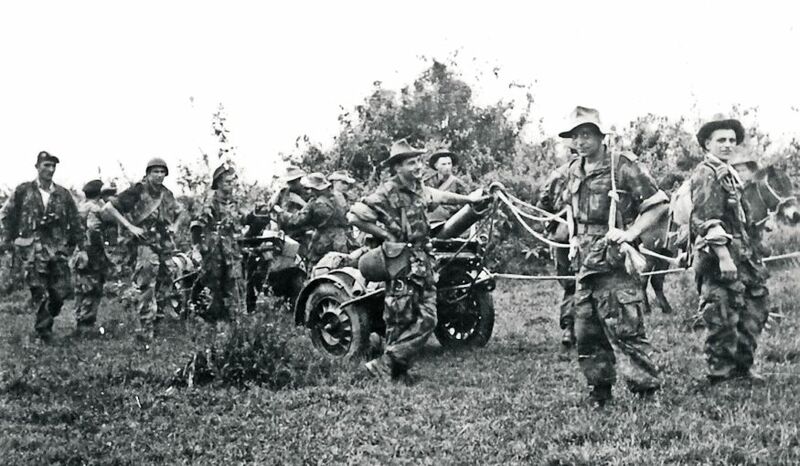 Bei seiner Verfolgung rückten die siamesischen Truppen auch in Süd-Vietnam ein und nahmen die Städte Chau-doc und Vinh-long, bevor sie durch eine größere vietnamesische Armee zum Rückzug gezwungen wurden. 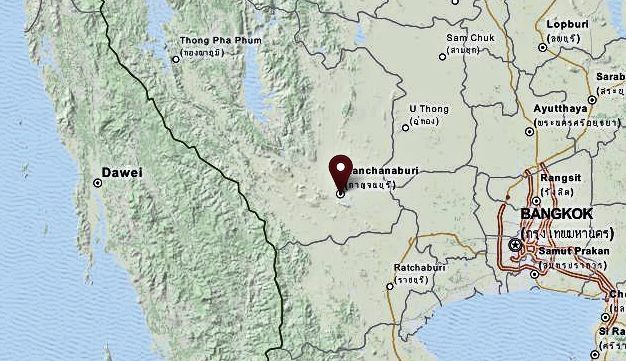 Zwischenzeitlich begann ein allgemeiner Aufstand gegen die siamesischen Herrscher in Kambodscha und in Ost-Laos. 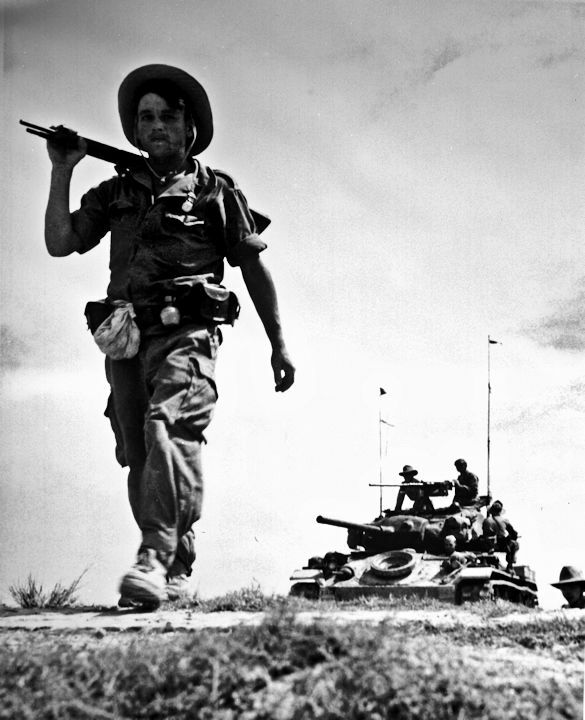 Vietnam nutzte die momentane Schwäche der Okkupanten und zog mit einer etwa 15.000 Mann starken Armee nach Kambodscha, setzte Ang Chan erneut auf den Thron in Udong (ភ្នំឧដុង្គ) und vertrieb die Siamesen aus dem Reich der Khmer. Kambodscha wurde dem direkten Einfluss Siams auf Dauer entzogen, insbesondere nachdem es in Französisch-Indochina einverleibt wurde. Phillips und Axelrod (2004), S. 1039f. Charles Phillips und Alan Axelrod: Encyclopedia of Wars. 3 Bde. New York: Facts on File 2004. ISBN 9780816028511. 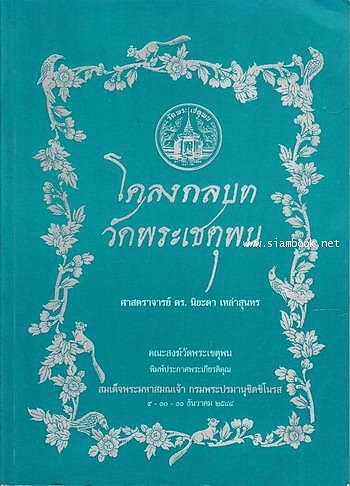 W. A. R. Wood: A History of Siam : from the earliest times to the year Ad 1781, with a supplement dealing with more recent events. New York: AMS 1974." Rama III. beauftragt Gelehrte aller Wissensgebiete, ihre Kenntnisse in Stein meißeln zu lassen [จารึกวัดโพธิ์ ]. So entsteht die steinerne Bibliothek im Wat Pho (วัดโพธิ์). Die "steinerne Bibliothek" enthält vieles, was bis dahin nur mündlich überliefert worden war. 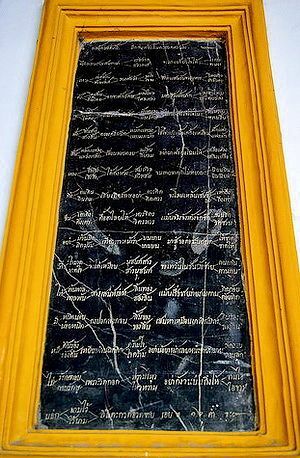 "The Epigraphic Archives of Wat Pho [จารึกวัดโพธิ์ ] (Temple of the Bodhi Tree) in Bangkok is a unique collection of 1,431 inscriptions in Thai language and scripts on limestone, marble and slate plates made in 1831-1841 on both religious and secular subjects, representing a wide range of Thai knowledge of Asian and local roots of the time in the context of over five centuries of global exchanges in trade, politics and culture. It was a huge and innovative undertaking by King Rama III and Thai scholars to preserve and present them to the general public by displaying them on 25 buildings and structures around the temple public compound. The King also commissioned the inscribing of texts on various subjects on stone plates in different sizes from 32x14 cms to 200x110 cms. The marble, limestone, and slate plates were placed on the exterior and interior walls, windows, posts or wooden beams of 25 buildings. Most of the inscriptions are legible and in good physical condition. Although the inscriptions are attached to buildings, most have no intrinsic link to them. The walls and architectural parts are used to expose the texts, most of which have no relationship to their function although some could be interpreted as linking to them, such as the Buddhist texts. In some cases they could also be interpreted as explanatory captions to illustrations. Some of the stone texts in categories 1, 2, 3, 5 and 6 are similar to those in manuscript forms kept in the National Library which may have been their drafts. 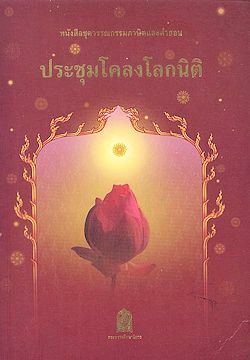 A pioneering study on both types of texts has been made by Professor Niyada Lawsunthara [นิยะดา เหล่าสุนทร / Niyada Lausunthorn] in 2001 [โคลงกลบทวัดพระเชตุพน. -- กรุงเทพฯ : คณะสงฆ์วัดพระเชตุพน, 2544 [= 2001]. -- ISBN 974-272-425-3]. Originally there were 32 statues of 32 different ethnic groups or nationalities of Asia and Europe with accompanying inscriptions of short verses on their characteristics in 16 pavilions. Only one plate now remains. This is an evidence of early anthropological awareness in Thailand and a testimony of the country’s cosmopolitan setting. The multi-national gathering is surprisingly comprehensive and unique in the world as it includes practically all the major groups of peoples at that time. The Wat Pho Inscriptions were written by about 50 people from the Court of King Rama III and learned monks led by Supreme Patriarch Prince Paramanuchit Chinorot [สมเด็จพระมหาสมณเจ้า กรมพระปรมานุชิตชิโนรส] (1790-1853), the Abbot of Wat Pho, whose bicentennial anniversary was celebrated by UNESCO in 1990. While most of the Buddhist texts were copies from the Tripitaka, the literature texts and poems were composed by Prince Patriarch Poramanuchit Chinorot who is considered one of the best Thai poets and writer of all time. He was an expert in the adaptation of the Indic chan [ฉันท์] meters into Thai meters, playing with words that rhyme. These inscriptions contain at least 4 of his major compositions in the chan genre. The illustrations in the medical and massage texts are similar to those found in Thai manuscripts but they are larger and attract the eyes of visitors. As such they are rare in the world. An incalculable number of the Wat Pho inscriptions have been lost since they were made in the 1830’s through neglect and carelessness. According to an estimate by the Wat Pho administrators, some 25% may have been lost or damaged. As far as is known no text has been altered, although some new slabs were made over the years to replace damaged ones using the same texts. The whole Temple is registered as national heritage by the Ministry of Culture, but the inscriptions are not registered separately. The texts have been published several times by the Temple and other authorities. The Temple allows them to be copied and photographed without any restriction." Sunthon Phu (สุนทรภู่, 1786 - 1855) verfasst das Reise-Gedicht Nirat (นิราศ) Nirat Muang Phet (นิราศเมืองเพชร) über seine Reise nach Phetchaburi (เพชรบุรี). 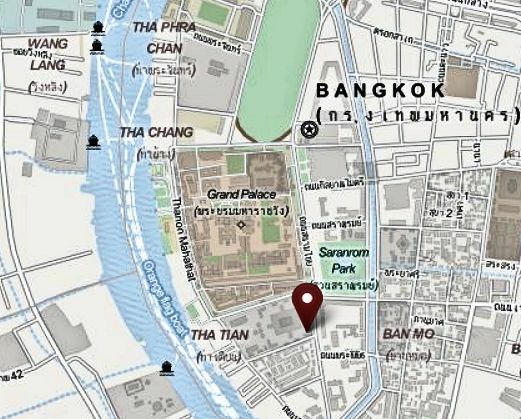 In Siam soll es 20.000 Mönche geben, davon 2/3 in Bangkok und Umgebung. Der König lässt Wat Suwannaram (วัดสุวรรณาราม) in Bangkok restaurieren. 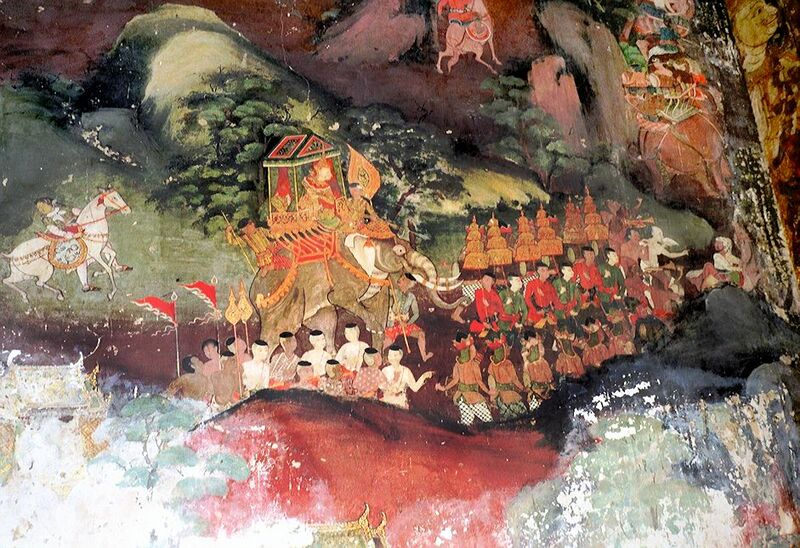 Die Maler Thong Yu (ทองอยู่ - หลวงวิจิตรเจษฎา) und Khong Pae (คงแป๊ะ - หลวงเสนีย์บริรักษ์) malen das Ubosot (พระอุโบสถ) aus. Einführung einer Steuer auf Teakholz und einer Steuer auf Bambus. Der katholische Missionar Jean-Baptiste Pallegoix (1805 - 1862) reist die Strecke Bangkok - Ayutthaya (อยุธยา) - Muang In (In Buri - อินทร์บุรี) - Chainat (ชัยนาท). Msgr. 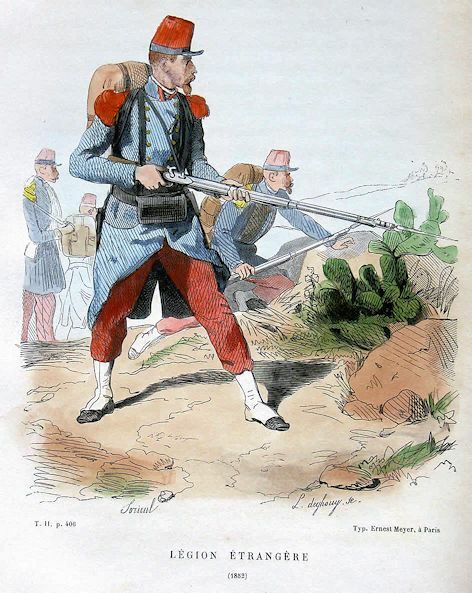 Barthélémy Bruguière, Titularbischof von Capsa, ist seit 1828-02-05 stellvertretender Generalvikar für Siam. Der Brief enthält eine ausführliche Beschreibung Siams. "Siam est un pays très-fertile, mais mal peuplé et encore plus mal cultivé: il y a dix fois moins d’habitants qu’en France, sur une égale étendue de territoire. S’il faut juger de la population par le nombre des personnes nées dans l’espace de dix ans, comparé avec le nombre des personnes mortes dans le même espace de temps, comparaison que j’ai faite moi-même dans une de nos chrétientés, il paraît qu’elle diminue d’un neuvième toutes les années: ainsi dans moins d’un siècle Siam ne serait plus qu’un désert, si la multitude d’étrangers quelle commerce y attire, et dont un bon nombre fixe son domicile dans le pays, ne comblait le déficit. En effet, il y a peut-être autant de Chinois que de vrais Siamois. 3.° la malpropreté des habitants; ils construisent leurs maisons sur un tas de boue; ils vivent au milieu des cochons, dont les ordures accumulées exhalent, une odeur infecte: ils ne savent ni construire de nouveaux canaux pour faciliter l’écoulement des eaux pluviales, ni dégager ceux qui existent déjà de cette quantité de boue, de feuilles et d'herbes qui s’y entassent insensiblement. Un Européen est choqué d’une pareille négligence, eux seuls ne s’en aperçoivent pas; ils sont étonnés des observations qu’on leur fait sur les dangers de cette excessive malpropreté. En général, les peuples de l’Asie méridionale ne sont guère propres, s’il est permis d’en juger par les individus que j’ai vus. Cette négligence, jointe à l’influence du climat et aux aliments malsains dont les Siamois font grand usage, procure un grand nombre de maladies, telles que le choléra-morbus, la dysenterie, les fièvres pernicieuses, les fièvres intermittentes, les dartres, les ulcères, la colique et tant d’autres qu’il serait trop long de rapporter. Je n’entends jamais parler que de morts et de malades. Les Siamois sont surtout sujets à une sorte de maladie qu’ils appellent être pris du vent. On voit, des personnes qui paraissant jouir d’une santé parfaite, tombent tout à coup en syncope; on a bien de la peine à les faire revenir; si le malade ne meurt pas dans les vingt-quatre heures, il est bientôt rétabli. J’ai été appelé plusieurs fois, pendant la nuit, pour donner l’Extrême - Onction à des personnes attaquées de cette singulière maladie; le lendemain matin, je les trouvais assises à côté d’un grand plat de riz et de viande, mangeant de bon appétit." 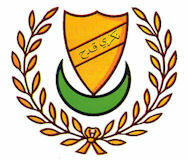 Aufstand gegen Siam in Kedah's (‏قدح‎) unter Tunku Kudin (Syed Zainal Abidin). Siam schlägt mit 7000 Mann und 3000 Elefanten zu. Großbritannien muss Siam helfen, die Separatisten niederzuschlagen. "In 1831 a very serious revolt occurred. 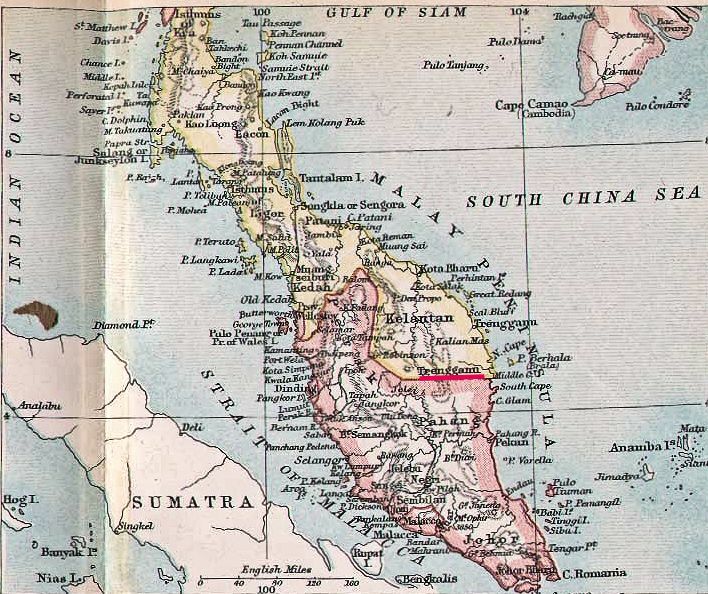 Three thousand Malay refugees who were living in Province Wellesley crossed the frontier, and drove the Siamese out of Kedah [‏قدح]. 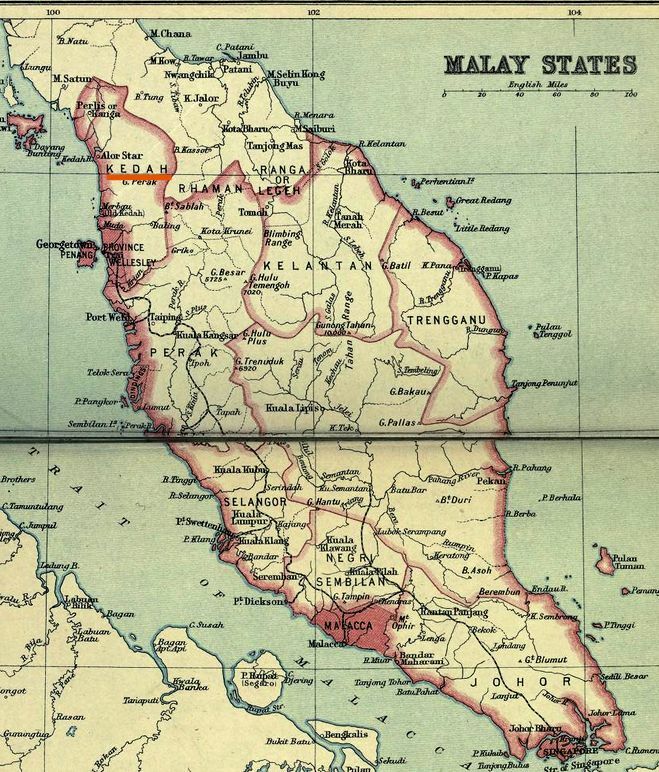 The rebels were joined by hundreds of Malays from Penang and Province Wellesley, and most of their supplies were sent by sympathisers at Penang. Outside Government circles the whole population of the Straits Settlements, European as well as native, sympathised strongly with the Malays, and aided them so far as possible. The attack came as a complete surprise to both the British and the Siamese governments, for although the plans for the rising were made at Penang, and were known to hundreds of Malays, not one betrayed them. 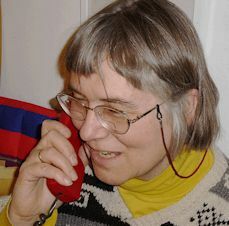 The police and some of the European merchants were also involved in the conspiracy of silence. Throughout the rebellion the Government of the Straits Settlements showed itself most friendly to the Siamese, and very hostile to the Malays. As soon as the Governor, [Robert] Ibbetson, learned of the rising he ordered the gunboats and warships at Penang to blockade the Kedah coast and prevent the rebels from receiving further assistance from Penang. The ships were also ordered to attack the rebel praus, and to treat as pirates any of their leaders who might be captured. So completely did Ibbetson sympathise with Siam that he was actually indignant at the Malays for attempting to recover their country, and at the ex-Sultan for not betraying the plot. The Government of India did not altogether approve of Ibbetson’s measures, and declared that the Burney Treaty did not require armed co-operation with Siam. The Governor should have confined his efforts to preventing the rebels from securing supplies from Penang. The revolt lasted from April till October 1831, when the Siamese finally reconquered the country. The Company’s blockade of the Kedah coast contributed largely to this result, since one of the principal reasons for the collapse of the revolt was the cutting off of supplies from Penang." Tonku Den (Freitod 1832-06-30), ein Neffe des Ex-Sultans von Kedah (‏قدح‎), greift den siamesischen Vasallen Kedah erfolgreich an. Die siamesischen Beamten fliehen nach Norden und Tonku Den übernimmt die Macht in Kedah. Als Siam in den malaiischen Vasallenstaaten Soldaten ausheben will, kommt es zur Revolte der Sieben Staaten. Erst 1832-03 gelingt es Siam, Kedah wieder zu unterjochen. Die Revolte der Sieben Staaten wird 1832-07/08 niedergeschlagen. Viele malaiische Familien werden von Siam als Sklaven verschleppt, in Sonkhla (สงขลา / Singgora - سيڠڬور) wird ein buddhistischer Sieges-Tempel gebaut. 16.000 Malaien fliehen aus den Vasallenstaaten in die britische Provinz Wellesley. 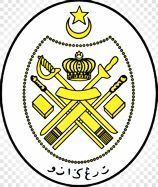 Sultan Muhammad I von Kelantan (‏كلنتن) unterstützt den Herrscher von Patani (ปัตตานี / ڤتنا), seinen Neffen Tuan Sulong, mit Truppen. Kelantan muss kapitulieren, an Siam den geflohenen Tuan Sulong ausliefern und Siam Tribut bezahlen. Feuersbrunst in Bangkok: drei Tote. Durch königlichen Erlass wird das französische Söldnerheer Fremdenlegion (Légion étrangère) gegründet. Die Fremdenlegion wird in allen französischen Kolonien ihr Unwesen treiben. 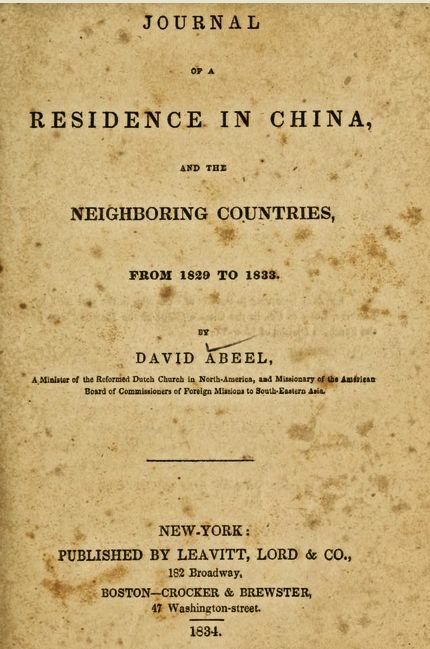 Der erste amerikanische protestantische Missionar kommt nach Siam: Dr. David Abeel (1804 - 1846) von der Reformed Dutch Church in North-America, and Missionary of the American Board of Commissioners of Foreign Missions in South-Eastern Asia. Er wird begleitet von Jacob Tomlin (1793 - 1880, London Missionary Society). Die beiden sollen die Situation in Siam erkunden. Die Missionare wohnen beim portugiesischen (katholischen) Konsul in Bangkok. 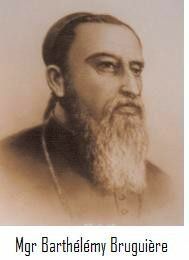 "Dr. David Abeel, who arrived in Bangkok in 1831, was the first American missionary in Siam. 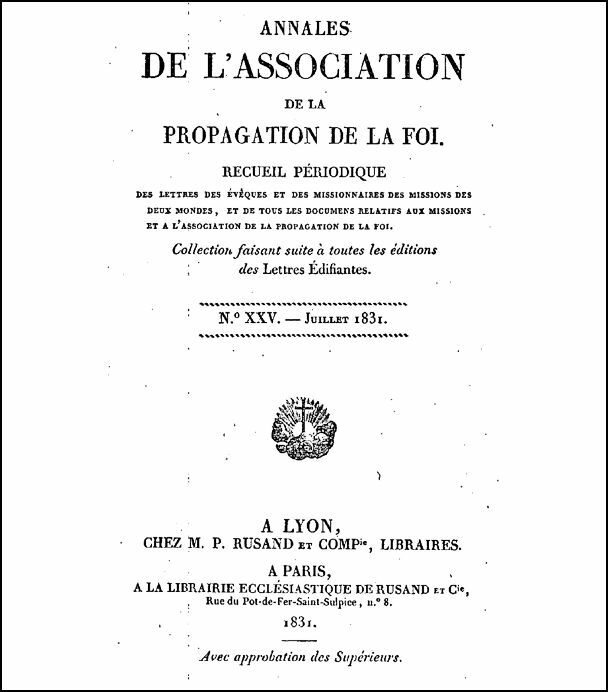 He met with a great deal of opposition —the king forbidding him to distribute the books of which he had brought a large supply, saying that "if it was his object to change religions, he was welcome to do it in other countries, but not in his," At the same time there was no personal persecution." "The influence of all this display of idolatry upon the nation, argues very little in favor of the moral advantages of Buddhism. Those who are the most dishonest in the means they adopt to secure wealth, are often the most liberal supporters of the priests and their mummeries. 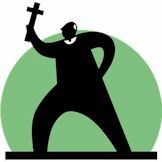 In fact, a blind and nearly equal reverence for the priests and their idols, and a due regard to the temporal wants of the former, is the main article—too often the sum of their practical religion. The religion of Burmah, Pegu and Laos being the same, the natives of these respective countries, who reside in Siam, join with their masters in their worship. The Chinese have brought their idols and notions with them, and here, as at home, they worship their gods for temporal favors, and express their reverence, only by " sacrificing to their own net and drag. " Many of them being Buddhists, they readily unite with the Siamese if an end can be gained. The Malays practice a species of Islamism, corrupted, probably, with some of the ancient rites and customs of their Pagan forefathers. They are exceedingly noisy in their devotions. At seasons whole companies of them spend hours at a time in trilling out loud, and long-drawn cries. The voices of infancy, manhood, and decrepitude, of men and women, are mingled in such grating and boisterous strains, as quite to disturb the surrounding region, and interrupt the rest of a part of the night. The Portuguese profess a corrupt Catholicism, which symbolizes, in many respects, with the superstitions of their Pagan neighbors, and proves quite as inert in its moral influence. There are about one thousand of them, who, with one or two respectable exceptions, are as deeply sunk in mental and moral debasement, as the lowest class of Pagans around them. Destitute of the force of truth in their creed, of morals in their practice, of respectability in their character, or even of pecuniary show in their external circumstances; their religion makes the least possible progress among their heathen neighbors. The deep degradation, and scandalous immoralities of many of them, are such as to stigmatize the Christian name, to which they, as well as all their brethren in the East, most pertinaciously cling. A person may form some idea of the comparative reasonableness of these different religions, without leaving the house. One night he hears the bells and drums of Buddhism; the next, the wearisome candory cries of the Mussulmans; the third, the gong, drums and squibs of the Chinese; and the fourth, the bells, drums, crackers, and guns of the Catholics, as though determined to confound the confusion of them all, and bear away the inglorious palm." 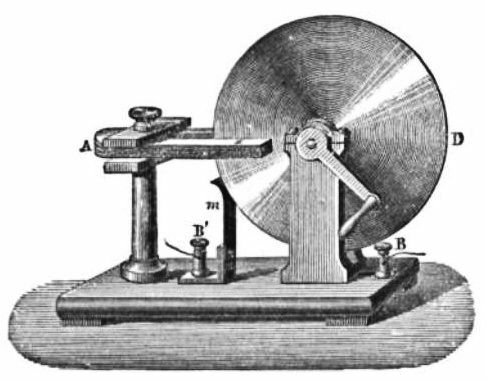 Der britische Physiker Michael Faraday (1791 - 1867) entdeckt die elektromagnetische Induktion. Dies ist die Grundlage für den elektrischen Generator (Dynamo). Schwere Überschwemmungen schädigen die Obstbaumpflanzungen und fast die gesamte Reisernte. Der König macht eine Zeremonie gegen die Wasserfluten, aber anscheinend ohne Erfolg. Der Reispreis steigt auf 32 Baht pro Wagenladung. Infolge der Hungersnot vergrößert sich die Zahl der Mönche fast auf das Doppelte. 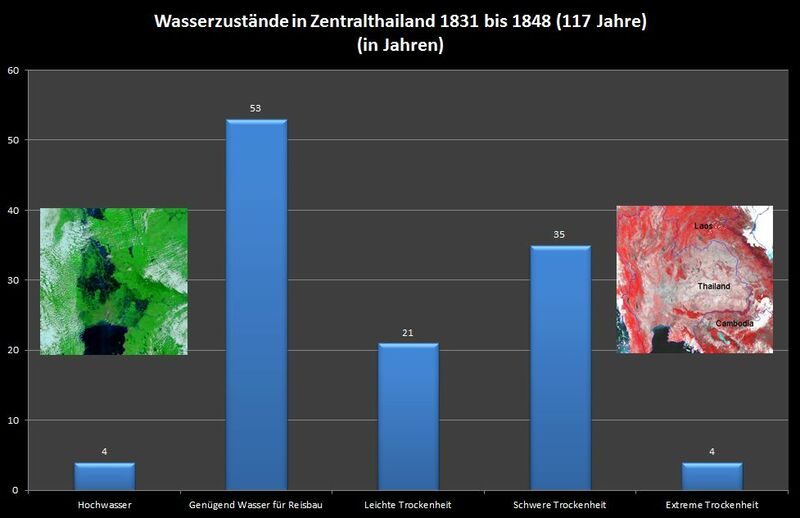 Schwere Überschwemmungen in Zentralthailand. In den Wäldern der nördlichen Chao-Phraya-Ebene steht im November das Wasser 2 m 30 cm hoch. Das Hochwasser erreicht im Dezember Bangkok, wo man sich nur noch in Booten fortbewegen kann. Auf die Flut folgt Nahrungsknappheit. Schwere Überschwemmungen in Süd-Siam und den südlichen Vasallenstaaten. Hungersnot mit vielen Toten. 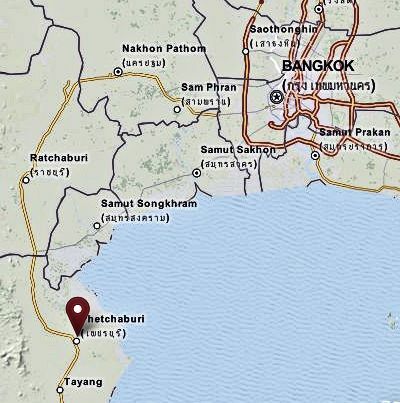 In Songkhla (สงขลา / سيڠڬورا - Singgora) wird erlaubt, Reis aus Bangkok zu verkaufen und die Reis-Steuern werden vorübergehend aufgenommen. Den Malaien in den Vasallenstaaten bietet Siam keine Hilfe.